MFC 38: Behind Enemy Lines will now be one of the most historic nights ever in the Maximum Fighting Championship. For the first time in the 13-year run of the Maximum Fighting Championship, there will be three MFC titles at stake in one night when the spotlight hits the ring on Friday, October 4 at the Shaw Conference Centre in Edmonton, Alberta, and live on AXS TV Fights. The MFC’s heavyweight belt will be on the line when two behemoths collide. 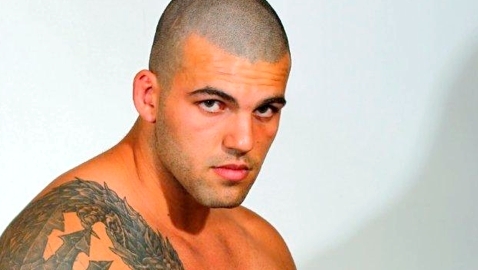 Undefeated rising star Smealinho “The Prince” Rama is set to battle Anthony “Freight Train” Hamilton in what should be the most devastating matchup ever in the MFC’s heavyweight division. Also freshly added to the action-packed lineup is a showdown for the MFC middleweight crown as fan favorite “Smilen” Sam Alvey tangles with debuting submission sensation Jason “The Mover” South. The title trifecta is completed by the previously announced MFC bantamweight title fight pitting Anthony Birchak against Tito Jones. MFC 38: Behind Enemy Lines airs live on AXS TV Fights beginning at 10 p.m. ET/8 p.m.MT/7 p.m. PT. “I am ecstatic that we could put together three title fights for the first time in MFC history,” said Mark Pavelich, Owner/President of the Maximum Fighting Championship. “To have these fighters compete for MFC belts all in one night is something we’re particularly proud of. The matchups are outstanding and without a doubt three deserving fighters will leave as champions. Rama (6-0) is one of the hottest young stars in all of mixed martial arts. 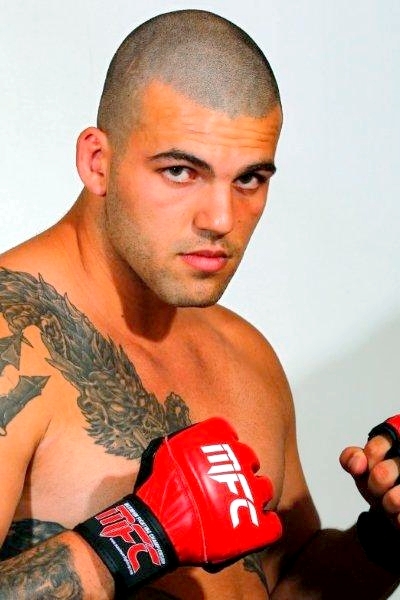 In 2012, he claimed the MFC’s Submission of the Year for his victory over Ryan Fortin, and went on to be named Fight Matrix’s Rookie of the Year. Rama (Twitter: @smealinhorama), who fights out of Calgary, Alberta, is ranked #35 in the world by Fight Matrix, and is coming off a devastating first-round knockout win over Mike Hackert at MFC 36. The ultra-talented 21-year-old has won all six of his bouts inside the opening round with none of them reaching the four-minute mark. Newly signed Hamilton (9-2) makes his MFC debut having won three straight bouts highlighted by knockouts coming just seven and 38 seconds in two of those fights. The heavy-handed former college wrestler and football player is originally from Redmond, Washington, and now fights out of Albuquerque, New Mexico. Hamilton boasts a total of four career knockouts and one submission victory. For Alvey (20-5), this will be his second crack at the MFC middleweight title after falling just short in a razor-thin decision loss to Elvis Mutapcic at MFC 36. The Murrieta, California, product rebounded quickly as he clubbed down Jay Silva for a third-round TKO win at MFC 37. Alvey (Twitter: @smilensam) is ranked #52 in Fight Matrix’s middleweight standings, and boasts 12 knockouts and two submissions on his career log. The popular former reality show standout is married to former America’s Next Top Model winner McKey Sullivan. South (10-0), a submission savant hailing from West Jordan, Utah, enters the MFC’s middleweight title picture on a tremendous role having registered nine wins via tapout including five inside in the opening round. South (Twitter: @jasonksouth) sports notable career victories over Kacey Uscola and Phil Dace. Three more bouts will be named shortly to the MFC 38: Behind Enemy Lines main card airing on AXS TV Fights. A full undercard lineup, which will be shown live on the MFC Facebook page, will also be announced in the near future.